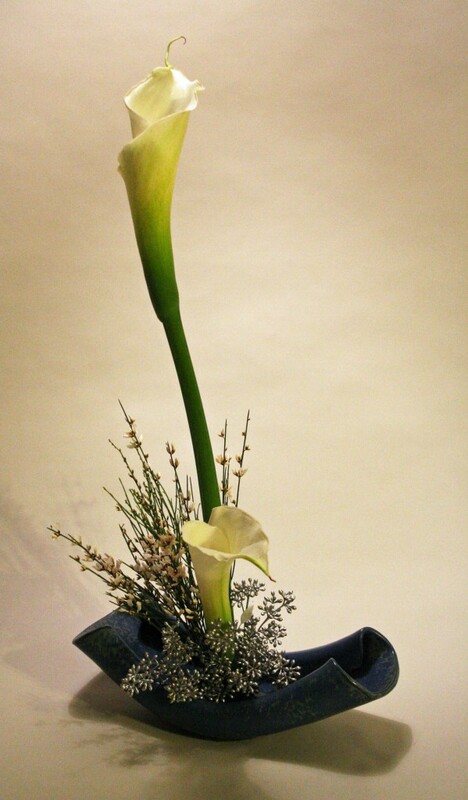 In this design I used a blue container with some large garden calla lilies, white ginestra and some painted silver eucalyptus (I didn’t paint it, it was recycled material). The color blue can symbolize peace, calm, stability, security, loyalty, sky, water, and cold. White is a sacred and pure color and can also represent reverence, purity, simplicity,humility,winter, snow, good, and cold. In the midst of this hectic holiday season it’s nice to make a calming, peaceful arrangement.